As the market is flooded with the latest and trendiest looking gadgets it’s hard to find out which gadget is best for you and most suited for your goals and your intended use. 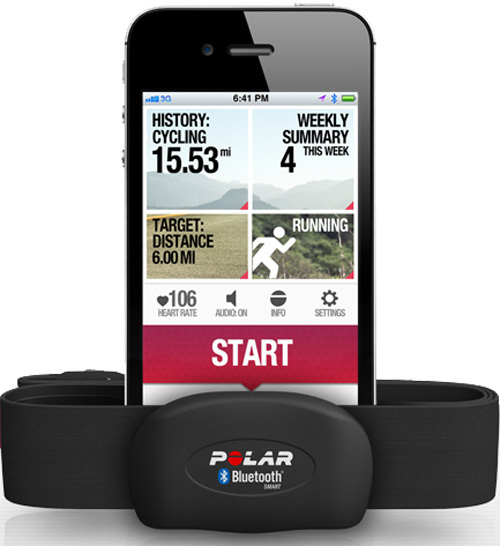 Here at RS Fitness we highly recommend the Polar H7 Bluetooth Heart Rate Monitor which we use daily with our clients. It’s easy to use – the polar chest strap is placed just under your t-shirt directly under your sternum bone. This reads your heart rate for the duration of your workout. Sometimes the connection can be lost if the strap has not been moistened properly or is too loose, so make sure you always have a wipe handy. Holds you accountable – we believe the fitness journey goes beyond the gym and that clients should always move more and exercise whenever possible, that’s why with the Polar app it’s easy for clients to do this. Especially as there are no subscription fees to pay. You just download the free app, set up an account and off you go. Feedback is great – once you complete workouts your training session is rated and given a graphic picture detailing how well you performed. It breaks down the full session pinpointing key metrics that are important for your fitness journey. Calories burned – you can’t lose weight without being in a calorie deficit and to get into a deficit we have to know how many calories are being burning when we train. Only then. can you trainer asses this on a weekly basis allowing them to complete all fat loss calculations based on the calories burned through exercise and calorie intake through nutrition. 1 pound of fat and 1 pound of muscle weigh exactly the same but look different (we have an example in the gym) although the 1 pound of muscle is smaller than 1 pound of fat. However to burn 1 pound of fat we have to create a deficit of 3500 calories (yes 3500 calories) that’s why we monitor every session to make sure that we are actually exercising hard enough to achieve the required deficit to lose weight.